Can Patient Sensing Help Steer Research? We’ve all filled out surveys before, plenty of them probably. The thing is what do we usually gain from them? We rarely get to see the results or feel like what we did really made a difference. 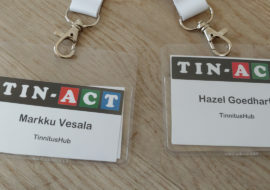 Our first survey isn’t going to disappear, full results are being published on Tinnitus Talk for all to view and it’s a first step into a larger project to learn more about our tinnitus and what we can do about it. When we analyse the treatment data we’re hoping that we can give you some real insight, things that may help you to think about what treatments may help you. We’ve got over 5,000 responses, giving us a really big pool of people that can tell us what has worked and what hasn’t. We also have a lot of data on causes of tinnitus. This can help you feel you aren’t alone but more importantly can also help us to understand that if we have a certain associated cause then a certain treatment may work for us. It won’t just be us analysing it, we’re putting it out there for the research community. The extra resources and expertise they have will tease out any deep patterns. This data could really open the door to some new insights. Most of us have been the brunt of poor quality healthcare. Doctor’s so frequently fail to appreciate tinnitus, telling us we just have to live with it and there’s nothing that can be done. The medical profession brushes tinnitus off way too lightly, without proper consideration of what else it can cause or make worse. 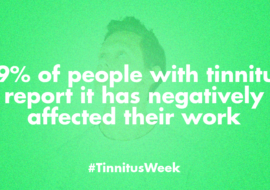 Our survey helps to highlight that, showing information on additional conditions caused and worsened by tinnitus. You have to ask the question; how much hidden cost is there in not treating tinnitus properly? 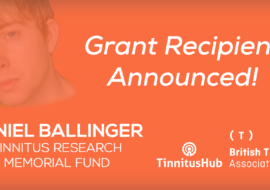 It’s our belief that making this case can help to change that attitude and put tinnitus on the map as something that needs to be taken seriously. If the case can be made that treatment is cost effective then we may see better, widely offered treatment solutions. Keep your eyes out for the full survey results.